In terms of preferred feet, Ely Valderrey is a right footer, like 78% of Mineros de Guayana. The 32-year-old Ely Valderrey was born on April 29, 1986 and is therefore four years older than his team's average age. He had three match appearances this season. With a height of 1.75m, he undercuts Mineros de Guayana's mean tallness by 4. 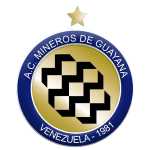 These days, Ely Valderrey's team Mineros de Guayana comes ninth place in group Clausura of Primera Division (Venezuela). 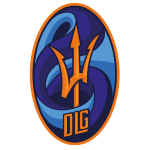 Spanish midfielder Ely Valderrey, who is currently under contract to Mineros de Guayana in Venezuela, joined the club July 3, 2018. Weighing 165.35lb, he measures 6lb less than the average player on Mineros de Guayana. His squad won 40% (40% home) in Primera Division. Therefore they have not won a single match recently but at least managed to end in a draw 3 times. Mineros de Guayana's number 17 is Ely Valderrey. 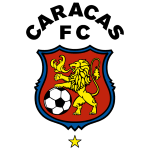 His shortest stay in a club was five months in Caracas FC (Venezuela). Altogether, he was substituted in 5 and out 1 times. Currently, he entered the pit more than he left it which is different to last season wherein he showed an equal amount of both types of subs. Throughout his time as professional football player, Ely Valderrey was not once sanctioned with a card. It's been 331 days since he played his latest match. He completes Mineros de Guayana's intermediate department, alongside players like Francisco Flores, Miguel Camargo, Francisco Pol Hurtado, Michael Covea, Nelson Hernandez, Adjin Livingstone, Argenis Gomez and Edgar Jimenez. Prior to joining Mineros de Guayana, Ely Valderrey played for Llaneros FC, Dep. 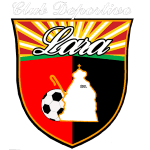 La Guaira, Caracas FC and Deportivo Lara. Four years and 5 months was the maximum period he ever played in a team, which is Llaneros FC (Venezuela).